According to the survey, digital’s influence on grocery overall has nearly doubled year over year and similarly has driven increasing impact on the in-store shopping experience. Since 2013, digital’s influence in-store across all retail sectors has grown a dramatic 300 percent, from 14 percent of all transactions to 56 percent in that timeframe. Further, the grocery sector is now close to other categories such as health (51 percent), apparel (56 percent), home (58 percent) and auto (59 percent) in digital influence, though grocery still lags leaders such as electronics (69 percent) more distantly. Alongside overall digital influence growth, mobile’s in-store influence also has expanded, from 5 percent in 2013 to more than one-third (37 percent) in 2016. While digital continues to grow in influence, there still appears to be a digital divide between what consumers’ desire and what the current grocery shopping experience offers. Despite digital’s expanding impact, the survey noted only 31 percent of grocery shoppers indicate that digital makes grocery shopping easier (vs. 42 percent across other retail categories), offering a strong opportunity for those companies who can improve the experience. More than three-quarters (77 percent) of consumers surveyed use digital touch points such as recipe websites and blogs to drive awareness and find inspiration. Nearly three in 10 (29 percent) of respondents try products based on online recommendations and reviews, seeking answers from blogs and social media posts alongside online product reviews and loyalty apps. 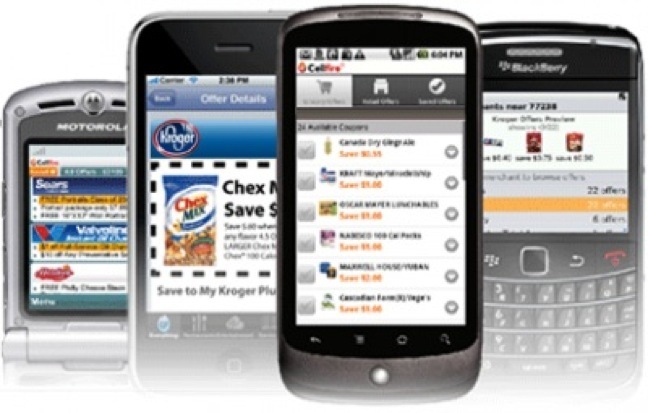 Additionally, grocery retailers’ mobile apps lead over consumer products’ brand apps, with 41 percent of respondents turning to grocery retailers’ apps compared to roughly one-quarter (27 percent) who use a consumer product company’s app. According to Deloitte, this leaves ample opportunity for brands to innovate through digital technologies and deliver compelling grocery experiences. Mobile, for example, is driving the convergence of consumer and shopper behavior and expectations, with roughly one-third (34 percent) of respondents saying they use a smartphone to help choose a brand during a shopping trip. According to Deloitte, consumer products companies should consider transforming how they operate day to day to become faster, more granular and more connected within a digital-first world. The Grocery Digital Divide and Grocery Experience surveys were commissioned by Deloitte and conducted online by an independent research company Nov. 3-18, 2016. The surveys polled national samples of 2,011 and 2,027 random consumers, respectively. Data was collected and weighted to be representative of the U.S. Census for gender, age, income and ethnicity; it has a margin of error of 2 percent.